Hidden inside the list of iOS 12 features that Apple couldn’t announce on stage is a feature explanation that iPad users are going to like a lot. With the iOS 12 software update Apple is bringing the iPhone X gestures to iPads. This means users will be return home and access the Control Center more conveniently in a similar way they can perform these tasks on iPhone X. 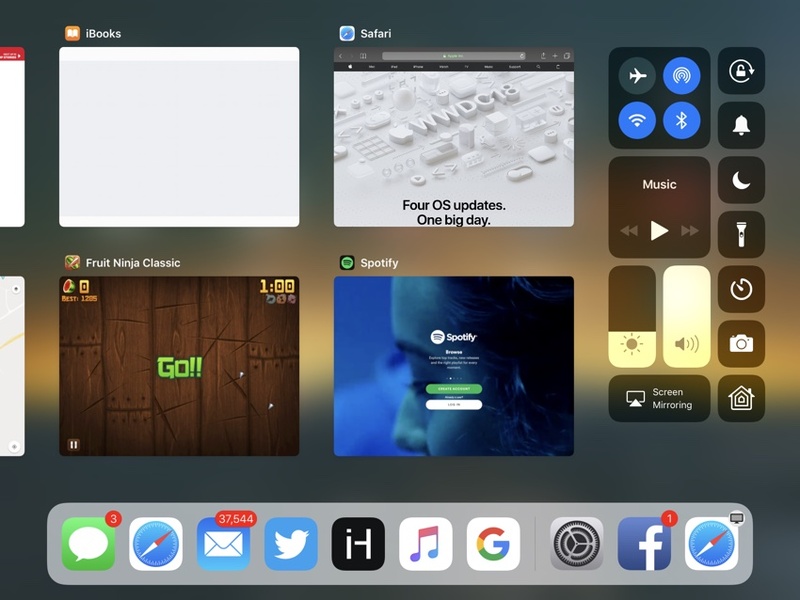 With iOS 12 iPad users will be able to exit an app and return to the home screen by swiping up anywhere on the dock. Before iOS 12 users have to either press the home button or perform a finger finger pinch gesture to return to the homescreen. iPhone X inspired Control Center gesture has also been added to iPads, as with iOS 12 users will be able to get to the Control Center easily by swiping down from top right corner of the screen. While these features will be appreciated by iOS users, especially those who happen to have both an iPhone X and iPad, addition of these gestures makes us wonder if Apple is preparing iOS to better support a truly bezel-less iPad Pro that has been rumored to get released sometime later this year. This year’s iPad Pros Are rumored to have a edge-to-edge screen, lack Home button like the iPhone X and have Face ID sensors, so having iPhone X like gestures make sense.